Using the safety pins to elevate the weights off the floor, set the barbell somewhere in the area between mid-shin and the top of the knee cap. Foot position should remain inside the shoulders, ideally at hip width. 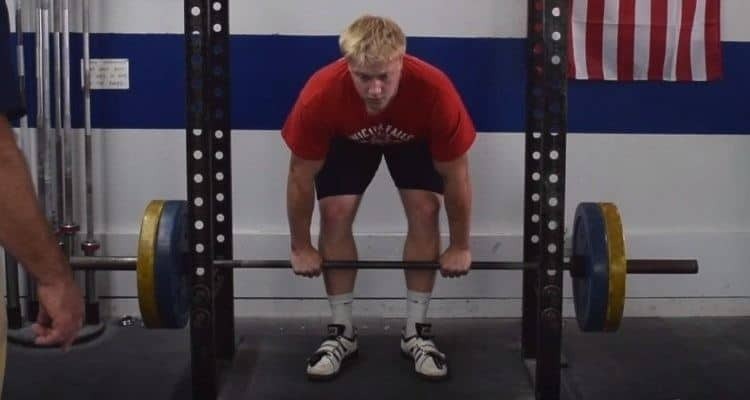 Utilize a hip hinge motion to lower the hands down to the bar. Keep the shoulder blades pulled together and depressed down into the lats while bracing the core to ensure a neutral spine alignment. With the hands set just outside the body, use a hook or mixed grip technique to hold the bar. The bar should be grazing your legs. You should be “hinged” to the point where the shoulder blades are set over the bar. Push the hips forward and stand up until the shoulders, hips, knees, and ankles are all aligned. 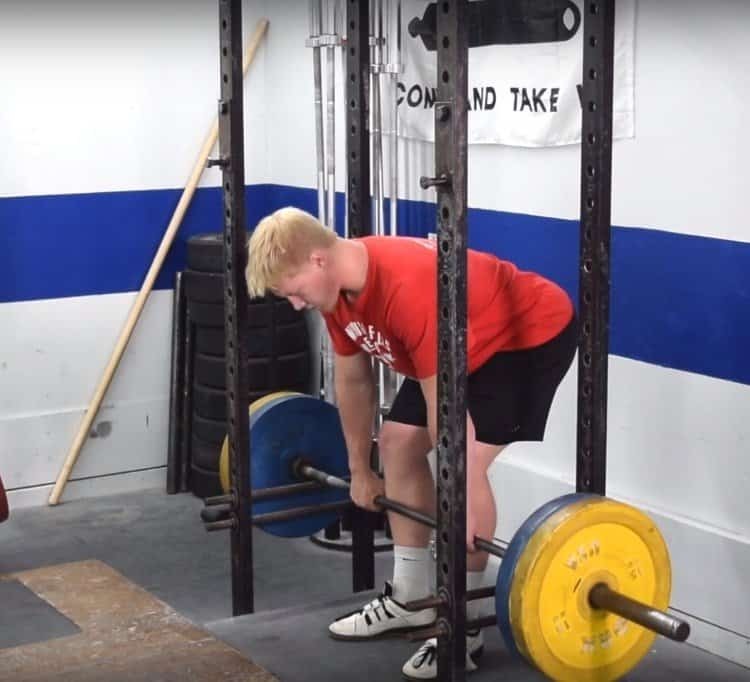 While under complete control of the bar, hinge the hips back while maintaining a neutral spine until the bar makes contact with the safety rods. Wait until the bar is completely motionless before performing another rep.
Firstly, reduce the weight being used until you can establish a rigid neutral posture. Remember to brace the core by pushing out with the obliques, keep a posterior tilt in the hips, retract/depress the shoulder blades, and actively pull the bar into your body to engage the lats. Be sure to purposefully and under complete control, hinge the hips to lower the bar exactly to the position it started in. If the bar is too far out in front of you, reset your entire position. Imagine that you are trying to bend the bar around your body or that you are at the end of the “straight arm pulldown” exercise. This will actively engage the lats and keep the bar close to your body. Focus on squeezing your glutes in order to ensure the hips completely extend. The weight may need to be lowered if this is a recurring issue. Keep the head/neck retracted by slightly tucking the chin back. This will help keep a neutral cervical spine. Try to look straight ahead or a few inches down. Make sure you are warmed up! Rack pulls will allow you to throw weights around that are significantly higher than you are actual deadlift max. Jumping into supramaximal (weights over your actual max) while your muscles are too cold is just begging for an injury. Learn to hip hinge. The goal of the movement is a powerful hip extension. In order to achieve that, the hips must be kept high and back during the start position. During both the concentric and the eccentric phases of the lift, the hips and shoulder should ascend and descend at the same time. Explosively push your hips forward. The goal is to achieve maximal glute activation by actively extending the hips. 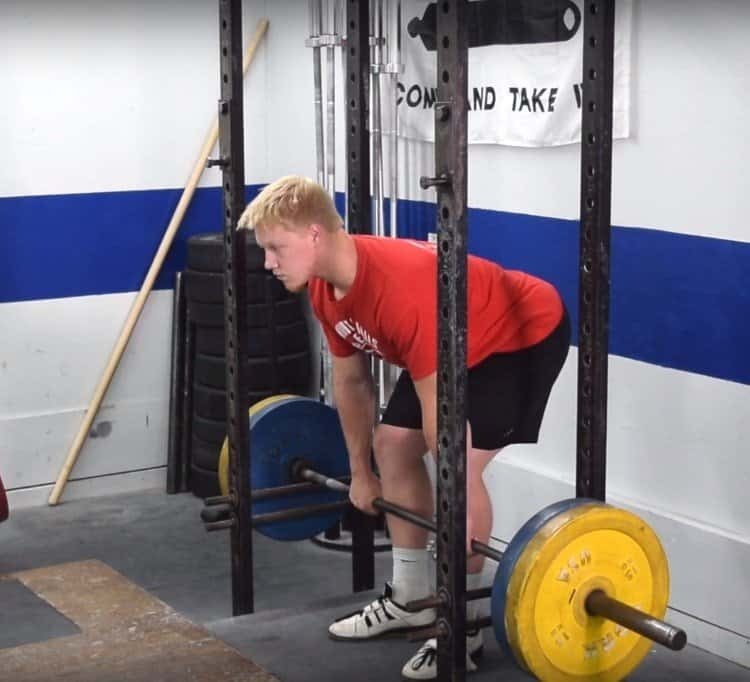 Letting the bar swing away from the body increases the moment arm (decreases your mechanical advantage) and can cause you to lose postural tension, increasing the risk of injury. Keep the bar against your thighs at the start and imagine that you’re trying to bend the bar around your body. This will actively engage the lats and help reduce bar swing. The bar should go down the same way it came up. The negative motion should be slow, deliberate, and completely under control. 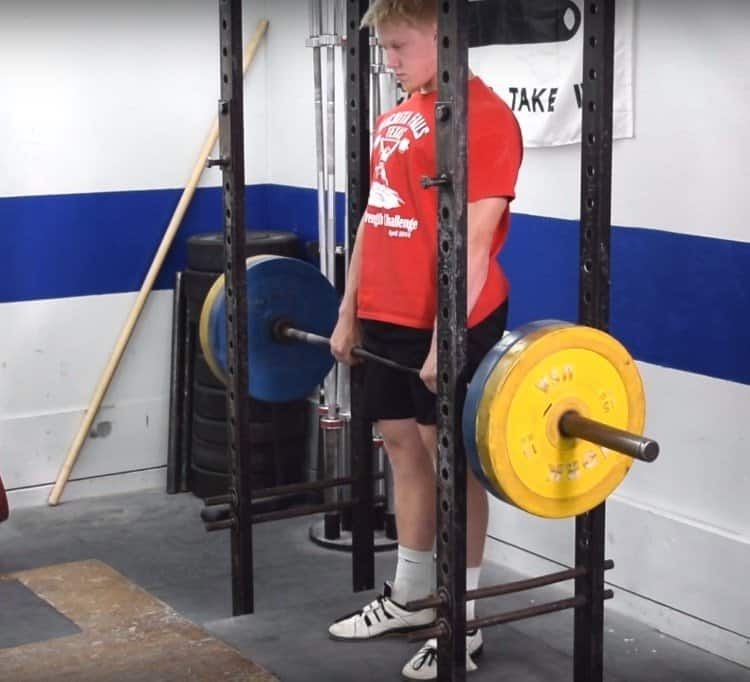 Just dumping the bar or slamming it down drastically reduces the benefits of the lift and increases risk of injury in the long run. Ideal footwear for rack pulling is something with a flat, hard sole. 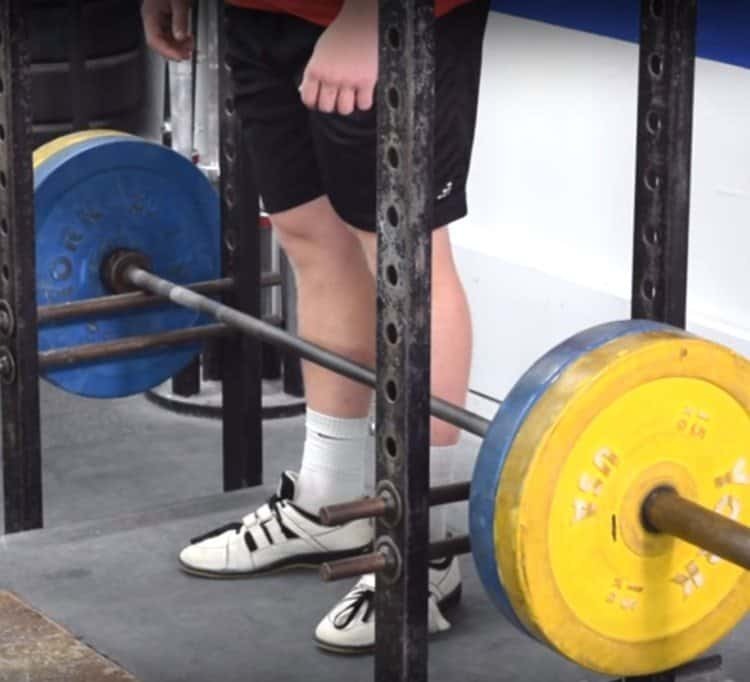 Check out my article on deadlifting shoes for specific footwear recommendations. Unless you are training for a weightlifting meet, don’t use a heeled shoe because it may throw you too far forward when you start the pull. If you notice your grip is the limiting factor, use straps or chalk to help your hands. Also, to ensure long term progress on all of your pulling lifts, start doing some focused grip training to get your hands as strong as possible. If using an alternated grip, switch it up often. This will help limit imbalances. Also, experiment with hook and double pronated grips for an extra challenge. It can be easy to want to just load up all the weight you can physiologically handle, throw on some wrist straps, and try to pull the world in a rack pull. When learning the lift, do not go any higher than 10% over your one rep max deadlift from the floor. 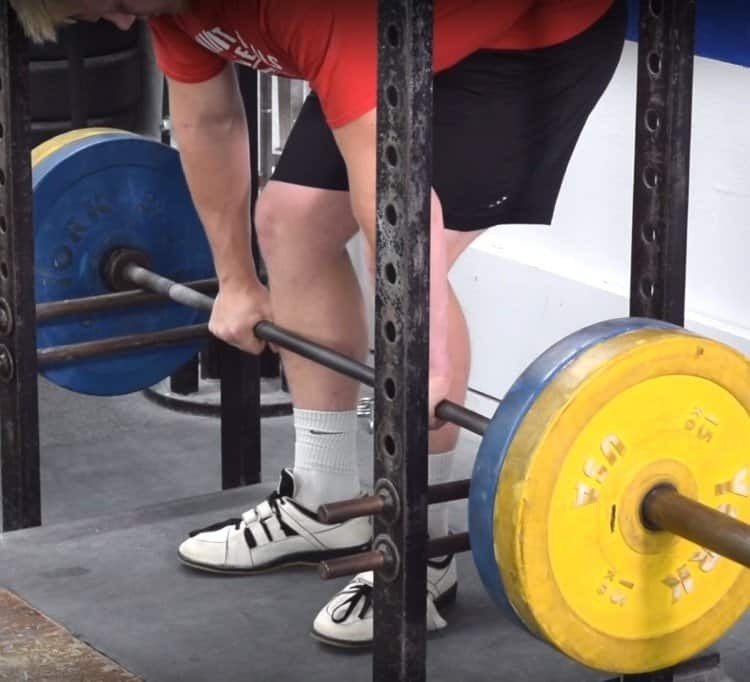 This will ensure a base level of strength to help reduce overuse or overreach injuries. Slowly increase weight over course of several months. 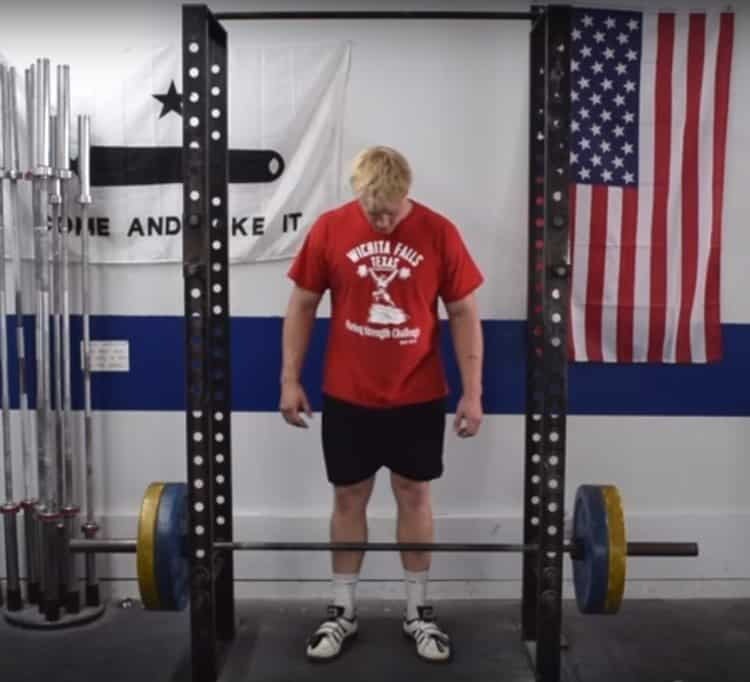 Rack pulls are excellent options for individuals that may have mobility issues that don’t allow them to deadlift from the floor with proper technique. Also, rack pulls are a great lift for developing a brutally strong back, glutes and grip strength.